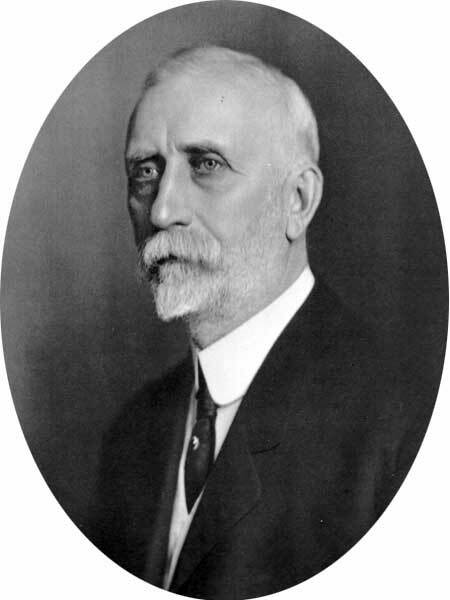 Born at Ottawa, Ontario on 31 December 1856, son of George and Barbara Popham, he was educated at Victoria University (BA, MA) and served as the first Principal of the Brandon Collegiate (1883-1885) before coming to Winnipeg in 1885 where he received an MD degree from the Manitoba Medical College. He was the Principal of the Winnipeg Collegiate Institute from July 1888 to December 1889. He practiced medicine at Winnipeg and also worked as Registrar of the Manitoba Medical College. He was a medical director for the Monarch Life Assurance Company, was President of the Royal Canadian Securities Company, a director and Vice-President of the Standard Trusts Company, Vice-President of the Great West Permanent Loan Company, and a director of the Canada National Fire Company. In 1884, he married Ella Gertrude Tourjee (?-?) of Cobourg, Ontario. They had three sons: Earl Cameron Popham (1892-1959), Clarke Hall Popham (1894-? ), and Harold Edwin Popham (1896-1993). He served on the council of the University of Manitoba and chairman of the board of Wesley College. He was a member of the Carleton Club, AF & AM (Ancient Landmark Lodge), IOOF (North Star Lodge), Independent Order of Foresters, Canadian Club of Winnipeg, and various medical societies. Recreations: any outdoor amusements. Liberal. Methodist. He died at his Winnipeg home, 555 River Avenue, on 11 February 1930. “Brandon Collegiate,” Manitoba Calling, June 1944, page 16. “Ont. judge dies,” Winnipeg Free Press, 13 April 1959, page 6. Obituary [Harold Popham], Winnipeg Free Press, 27 March 1993, page 74.